Dr.Jagadish Prasad (MD-Radio Diagnosis, Director-Femiint Health) is an Interventional Neuroradiologist (Endovascular Neurosurgery) and an Interventional Radiologist having completed fellowships in Neuroradiology (2002-2004) & Interventional Radiology (2004-2005) at the University of Ottawa, Ontario, Canada and MD in Radiodiagnosis from Kuvempu University, JJM Medical College. Dr.Prasad, is a consultant Interventional Neuroradiologist at several prominent hospitals of Bangalore including Manipal, Sagar, Gleneagles Parkway Hospital and has been associated with the setting up and running the department of Radiodiagnosis at SSSIHMS since the beginning of the hospital in 2000.He currently performs several complex Neuro-endovascular surgeries every week and is also a professor with teaching responsibilities and a guide to students of Radiology at SSSIHMS. Dr.Prasad is passionate about healthcare delivery and has ideated and founded a specialized hospital for women with the core belief that women are different and so should their healthcare be. 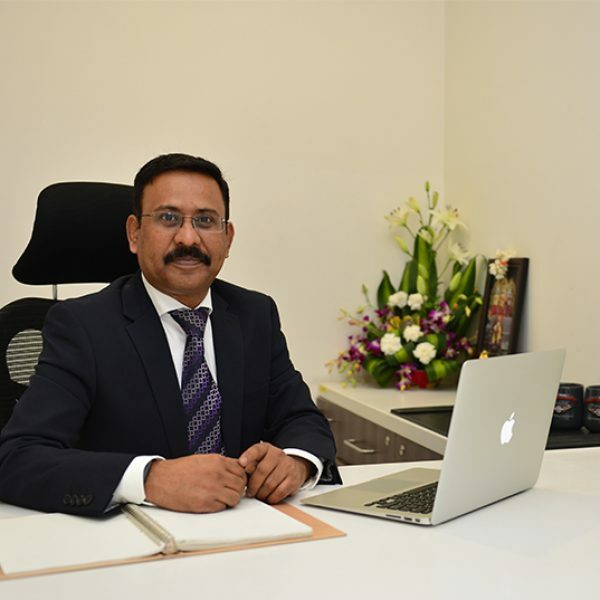 Dr Jagadish fervently believes that women’s healthcare needs demand unique solutions. He has strived to bring to the fore the many perspectives of a woman’s illness, from the diseases themselves to the emotional support and guidance systems that are needed to aid in recovery. He is an Interventional Neuro Radiologist with over 20 years of experience in the medical field. He has been involved with digital health-tech start-ups and deeply understands the current healthcare landscape.